Opioids and other prescription drugs are commonly misused because they are addictive. A significant number of people, particularly teens and adolescents, who begin using these substances first get their hands on them by raiding a friend or family member’s medicine chest. Even tossing unused meds in the trash may not be enough. If they wind up in the wrong hands, it could contribute to addiction or prescription drug misuse. Flushing them is an option, but this can harm the environment. For the safety of your loved ones and everyone else, it’s best to get rid of these drugs properly. Whether a prescription is expired or it is a medication you simply don’t need, safe drug disposal can be a challenge. But there are many programs in place to make this easier. 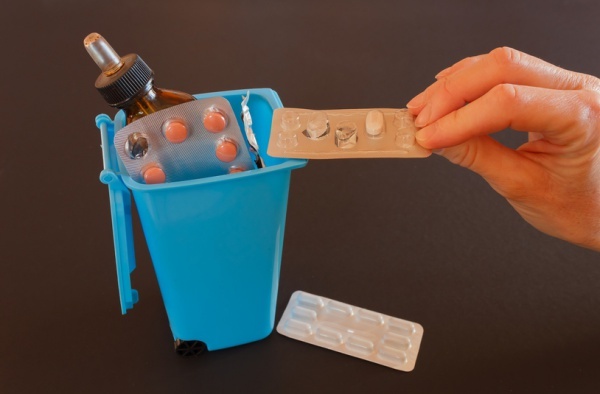 Here are several ways that you can safely get rid of your unused meds in Florida. Each year, the Drug Enforcement Administration (DEA) hosts a National RX Take-Back Day. The next one will take place on Oct. 27, 2018. This is an annual event that provides participants with an opportunity to clean out their medicine cabinets and take unused or unwanted drugs to a temporary collection site for safe disposal. If you miss that annual drug take-back day or it’s just not convenient, you have other options. The Florida Department of Environmental Protection advises consumers about the safest way to properly and safely dispose of medications. Keep medicine in the original container so it can be identified in case of accidental ingestion. Use a marker or razor blade to remove your name and prescription number from the label. Add water or soda to pills to start dissolving them. If the drug is a liquid, add dirt or cat litter. Secure the lid tightly and seal it with duct tape. Place all medicine in a dark container such as a coffee can or empty laundry bottle. Hide the container in the trash. Safe drug disposal through the trash requires following a particular procedure. Walgreens began a Safe Medicine Disposal kiosk program in California in 2016. It has now expanded to 45 U.S. states, including Florida. You can either call your local Walgreens or check online for a location near you. Some things that Walgreens will not accept include illegal drugs, inhalers, needles, aerosol cans and hydrogen peroxide. Some retailers participate in mail-back programs that allow you to send back unwanted medication through the mail. As long as your prescription or other medication meets the program’s guidelines and you follow the instructions for shipping, this is also an option. If you have unused prescription drugs in your home, avoid giving them to someone else or disposing of them without first following the procedure to dilute or disguise them. The Office of National Drug Policy Control reports that more than 71,000 children visit emergency rooms each year with issues related to unintentional overdoses of prescription and over-the-counter medicines. There is always help available if you or someone you care about is struggling with a substance use disorder. Orlando Recovery Center offers comprehensive Florida addiction treatment services that are customized to suit your unique situation and needs.